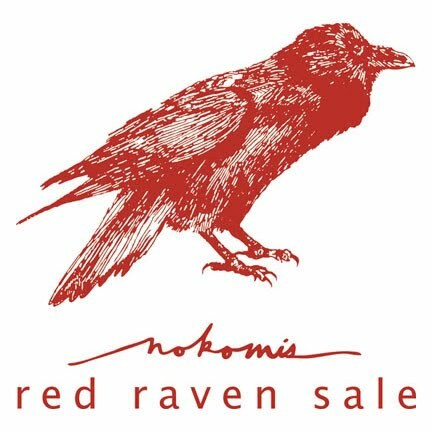 We're wrapping up the Red Raven sale! But first we thought we'd give you one last chance to scoop up some sale gems. Starting Thursday July 8, BUY ANY TWO SALE ITEMS AND RECEIVE THE THIRD FREE!! This is our favorite deal of all as the savings can be just fab, you get to add three great new items to your wardrobe and (as we clear out our summer stock) we can start putting new Fall styles in the store. New Smoking Lily, Supayana, Maked, Pyrrha and more are all slated to arrive next week. This Thursday, July 8, through Sunday, July 18, stop by Nokomis for our '3 for 2' blowout. So come in and help out, we need to make room for all of the beautiful fall stock that is arriving. You're going to go nuts when you see it all come in, nuts! So many beautiful patterns, prints and styles. Come by! * d a c e * arrivals! whaaat? more shoes? yes ma'am. shoes? 35 bucks? heck yes.